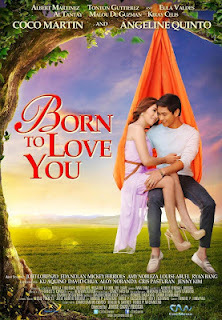 For the first time Angeline Quinto and Coco Martin tandem in “Born to Love You” Movie. Her dream comes true as she always sing “Kunin mo na ang lahat sa akin wag lang si Coco Martin”. For it is also her first movie ever. During her performance of that famous song line, there’s always a blink on her eyes which shows her admiration to Coco. That movie stars Albert Martinez, Eula Valdez, Tonton Guttierrez, and a lot of more. It is directed by Jerome Chavez Pabocan. It will be premiered on May 29 at SM Megamall Bldg. A Cinema 9. And it will be shown nationwide on May 30, 2012. Here is the video trailer of the mentioned movie posted by ABSstarcinema.